SavingStar Review 2019 - Let Your Grocery Loyalty Cards Pay You! Do you have a loyalty card for most of your favorite stores? Are you have brand name loyal? Do you like to shop both online and offline for bargains and savings? Then signing up on SavingStar may be a way for you to get some much anticipated cash back and freebies. In our SavingStar review for 2019 below, I'll explain more about how this all works. Since launching in 2011, SavingStar is both a website and an app where you can shop and earn cash back, which gets deposited into your SavingStar account. Once you reach $20, you may transfer the money to your bank account, your PayPal or your favorite charity. The really great news is that the app works for both the Android and the iPhone! So, you don't have to do this sitting in front of a computer if you don't want to or don't own one. Every week there are different rebates available. You can browse these via the app or the site. It's always grocery or drug store items. Each item listed will have a dollar amount listed next to it. That dollar amount is yours if you buy the item. You can look at it as money saved – money earned. Select the items you know you're buying from the app or site. 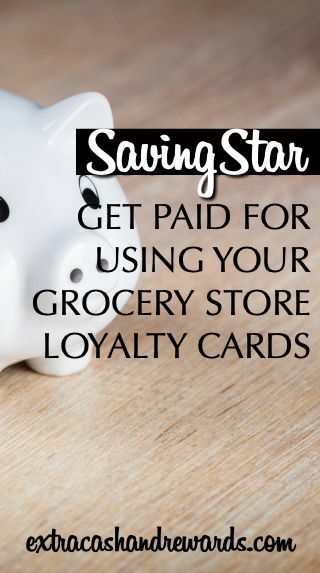 As long as your grocery store loyalty card is linked up with SavingStar, you'll get the dollar amount listed in your SavingStar account when you purchase. SavingStar doesn't work with all grocery and drug store, but it does work with most of the major chains. They are adding more all the time, so if the store you frequent isn't listed, check back. What If You Don't Have a Loyalty Card, But You Bought The Rebate Item? Even though it's easier if you have a loyalty card, SavingStar still pays with a receipt as proof. You just have to take a picture of your receipt proving you bought the item at a supported store. This is similar to how Ibotta works. Again, SavingStar pays out once you reach $20. You have to request your earnings — they aren't sent automatically. You may go into your account and transfer the money to your bank account, PayPal or send it to your favorite charity. In addition to cash and charity, you may also request gift cards instead. Once you've requested a payout, it should arrive within a day or two. So, this counts as one of those sites that pay fast for extra cash. Unfortunately, there is not currently a way to get paid from SavingStar referrals. Maybe they will change this in the future. SavingStar has received good press. As for individuals? They have a good following on Facebook. Most of the SavingStar complaints have to do with an occasional complaint about an item not being offered or sold in a particular store. But this is something that could happen at any store, at any time. Overall, the reviews are good, and the company is known for paying as promised. You can't ask for much more than that. You can go to their website and begin the sign up process. Registration is possible by either creating an account or logging in through Facebook. Don't forget to verify your email once you've signed up so your account is fully activated! Good luck, and please comment below if you've used SavingStar. Share your experience with others. Post originally published on January 16, 2015. Updated and republished on April 4, 2019.